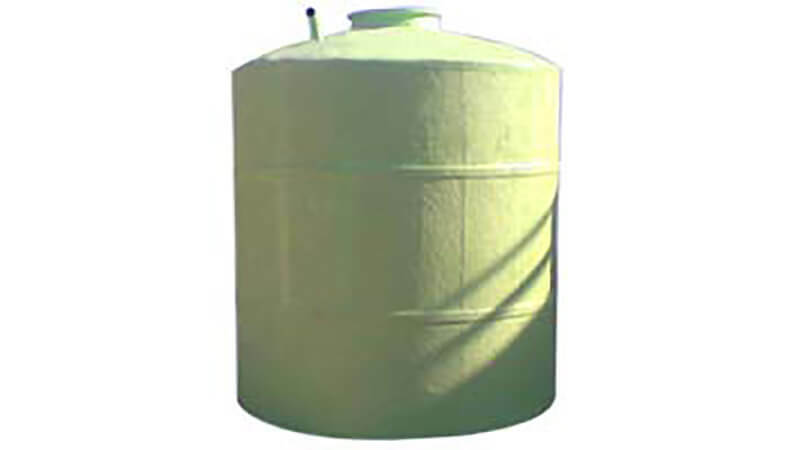 We are able to manufacture, supply and export a wide range of FRP Tanks like isopthalic polyester, Bisphenole and Epoxy based Vinyl esters. 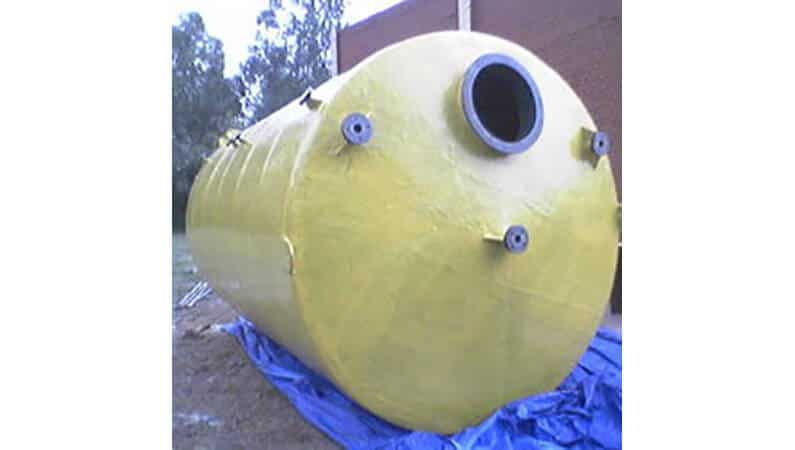 Dual 1-raminato tanks like PVC/FRP, PP/FRP, etc. are also in our production line. Selection of M.O.C. is depends on parameters like the fluid media and temperature. Standard nozzles like inlet, outlet, Drain and vent will be provided on all tanks as standard accessories, manhole will be provided on tanks, above 5,000litres capacity. Reinforced FRP stiffeners are provided on top and shell for tank capacity above 10,000 liters. 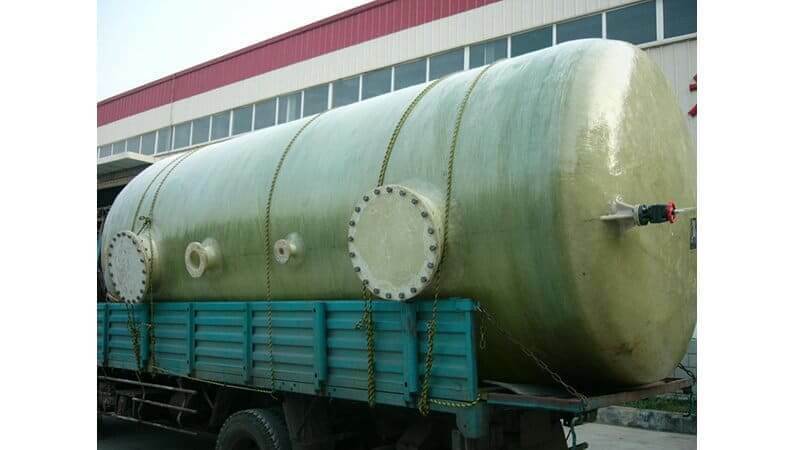 Tank top Is designed to take live load of four persons weight Capacity ranging from 1000 liter to 3,00,000 liters is manufactured by us. 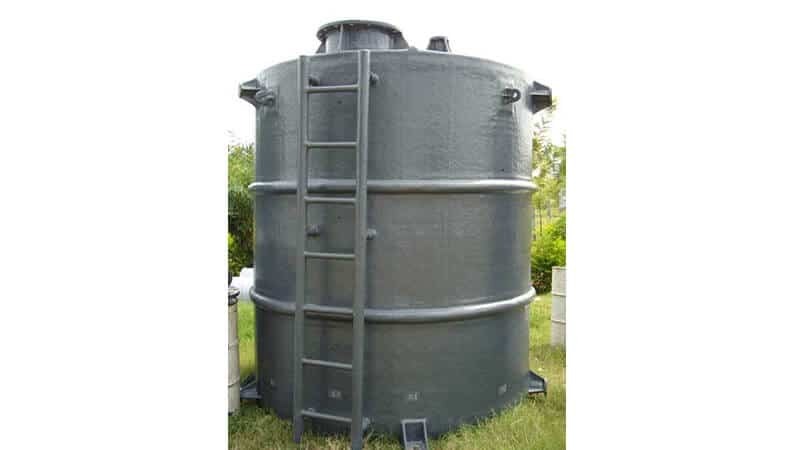 Available in diameter ranging from 300 mm to 4000mm and with storage capacities up to 50,000 Liters. Available in diameter ranging from 500mm to 3000 mm. Recommended to be used with suitable M.S. Support Structure.